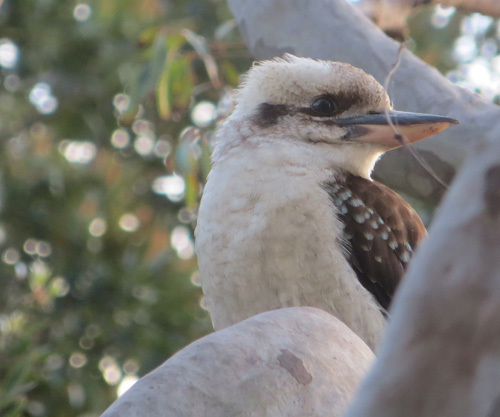 to find a Kookaburra perched on the gum tree in front of my flat. 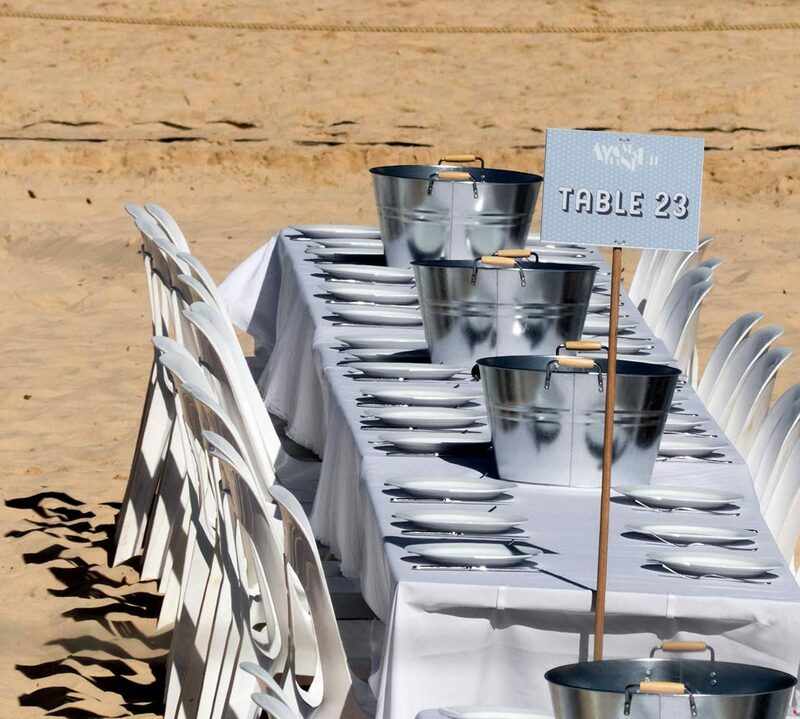 (How Aussie is that?! All that was missing was a kangaroo hopping past, though we don’t get a lot of them in Sydney. — by which time my corn flakes were a soggy mess. 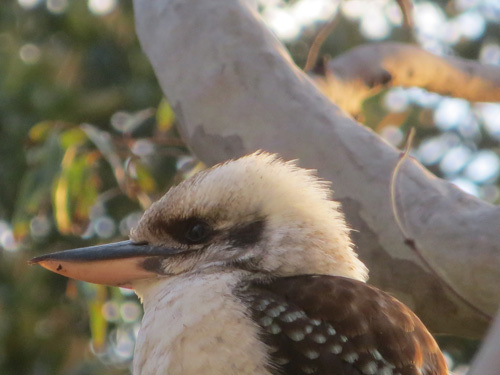 giving a lovely backlight to the bird’s feathers. I wonder what caught its attention? 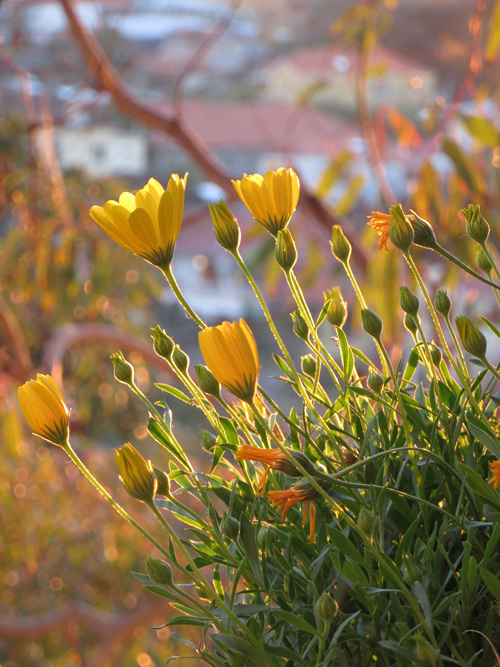 but the best line of sight was from my lounge room window. 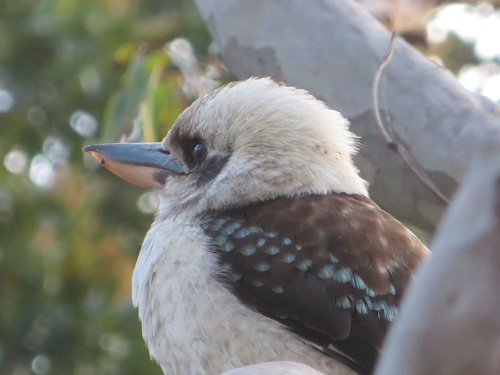 You’ve probably heard the term “Laughing Kookaburra”. 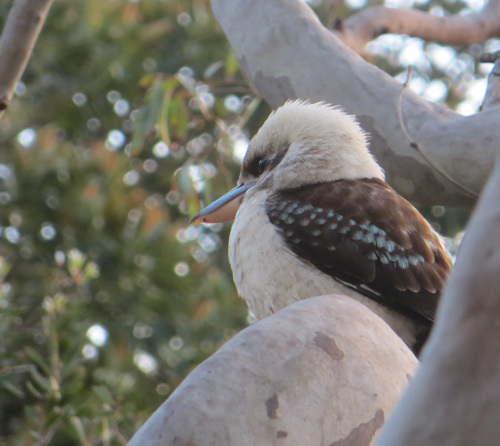 there’s no mistaking when one is in the neighbourhood! this sound echoing through their rough tent settlement. You can listen to one here. 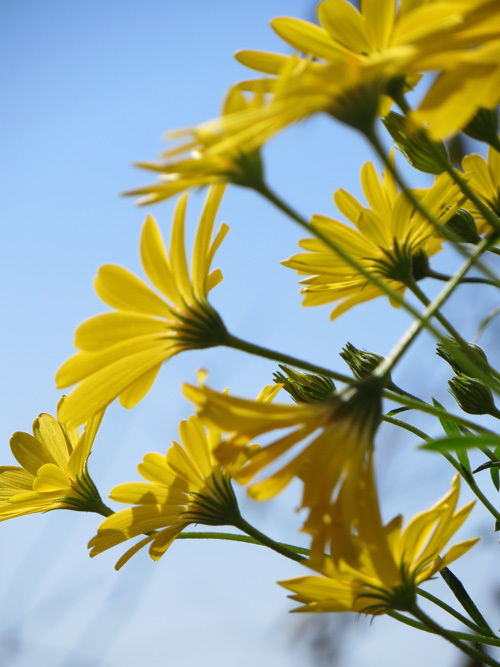 Do you know the “A Word a Week Challenge”? 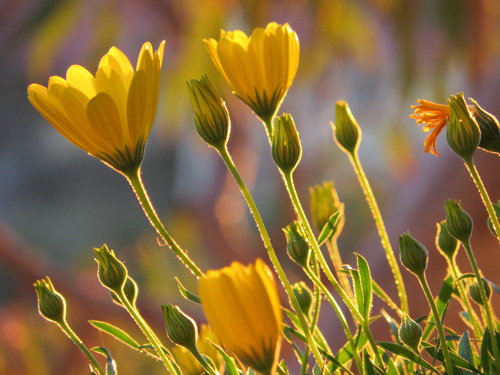 It’s a great opportunity for photographers to share their shots on a common theme. 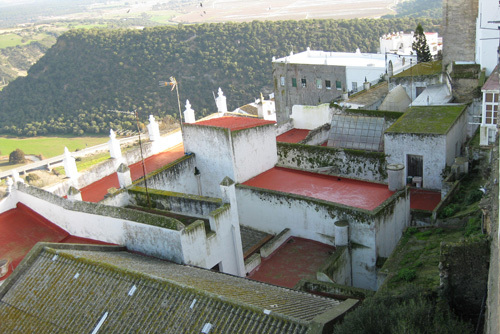 This week’s word is: Roof. 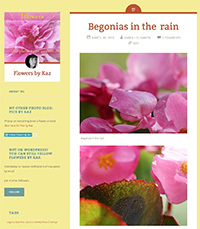 Here are my entries. 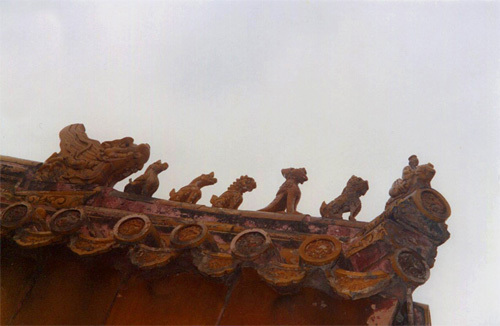 A roofline in the Forbidden City, Beijing, China. 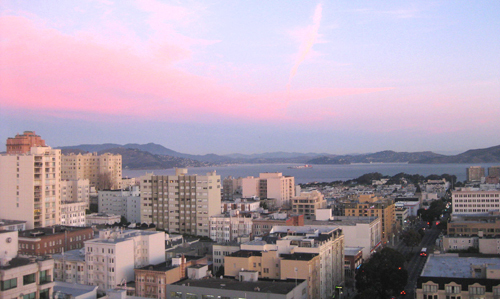 San Francisco roofs at sunrise. 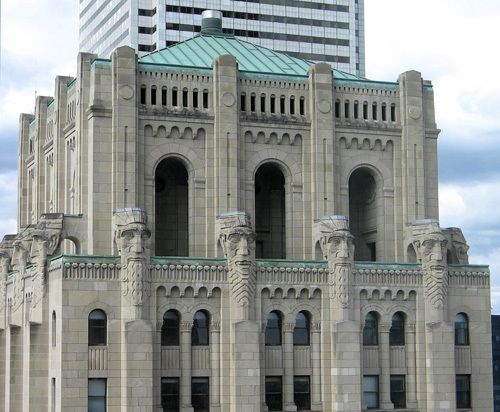 Gargoyles on a roof in Toronto. We all have eyes; we all see. 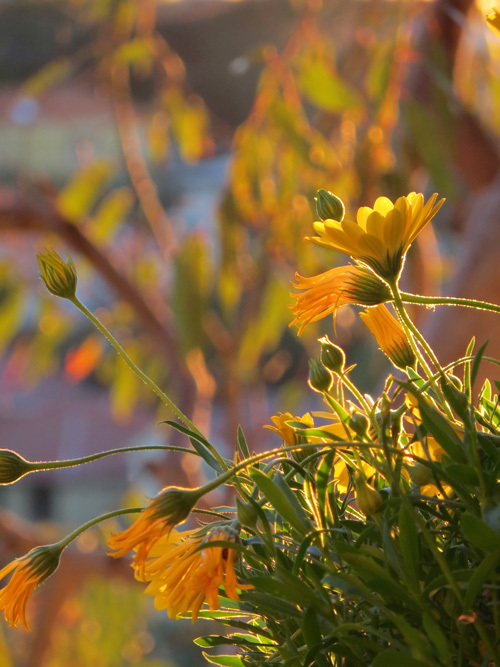 Yet what we see is filtered by our minds, our experiences, our expectations. 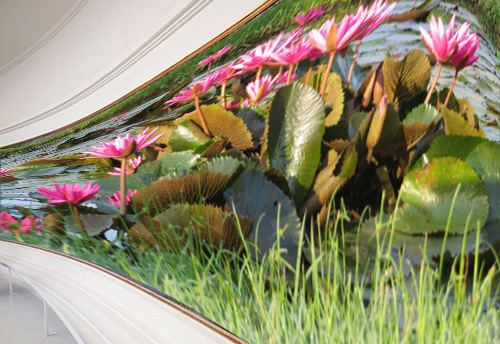 Sometimes, a reflected vision offers a new way of seeing. 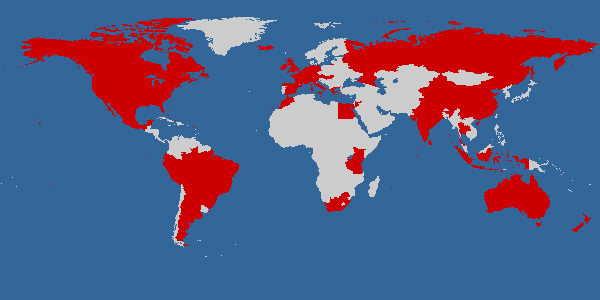 A world is on offer; go see it. Venice, Italy: Possibly my favourite ‘Reflections’ photo. 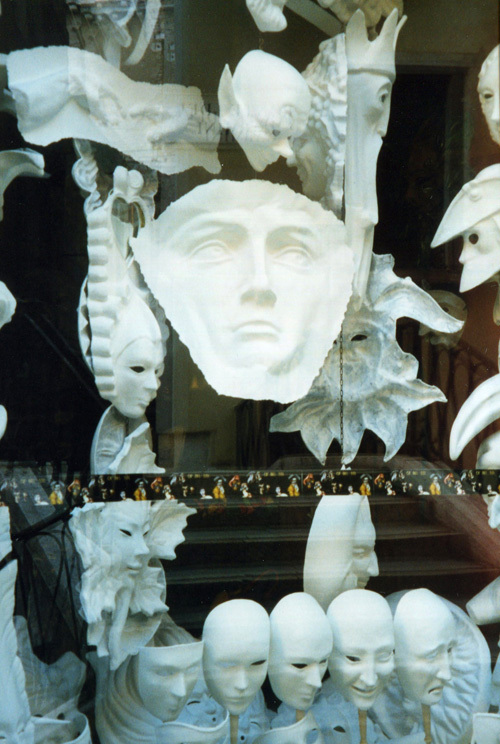 I love the arched stairs and balustrade of the bridge behind me reflected in the window, the enigmatic stare of the largest mask, and the way the ones along the bottom seem to be gossiping among themselves. 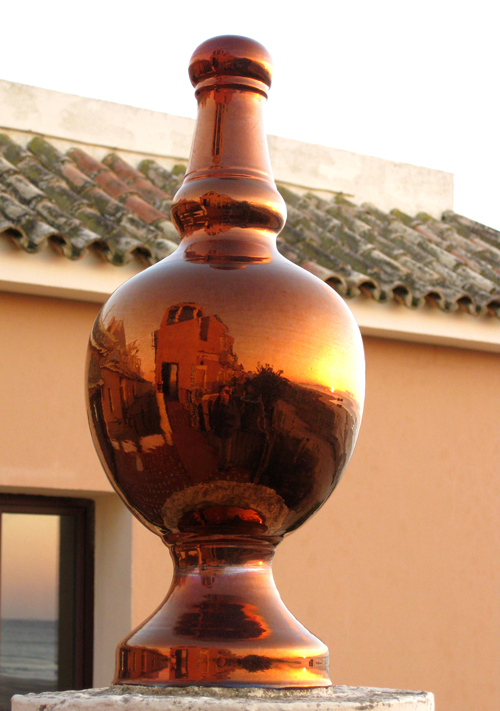 Zahara de los Atunes, Spain: Sunset reflected in a copper urn (me, too, if you look closely!). 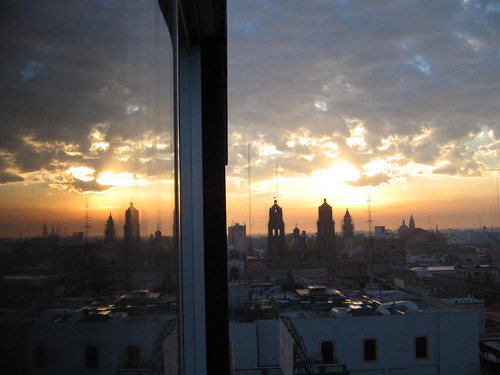 San Luis de Potosi, Mexico: Sunrise in the window of my hotel room. 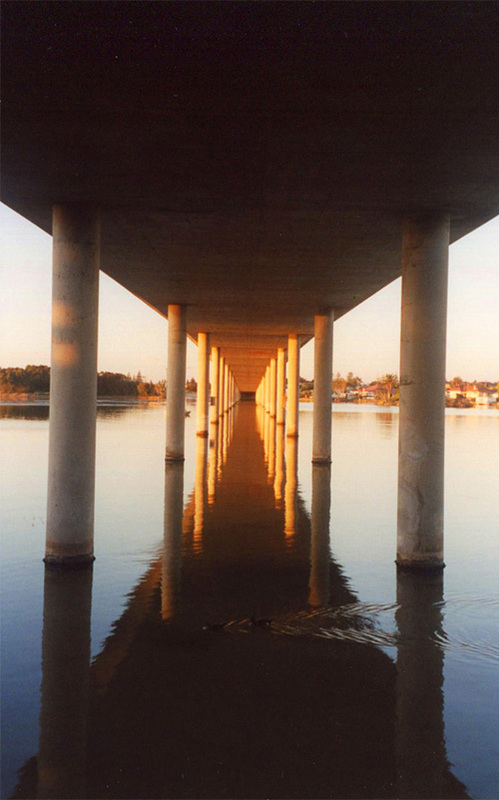 The Entrance, Australia: An infinity of bridge pylons at dusk — and one duck. 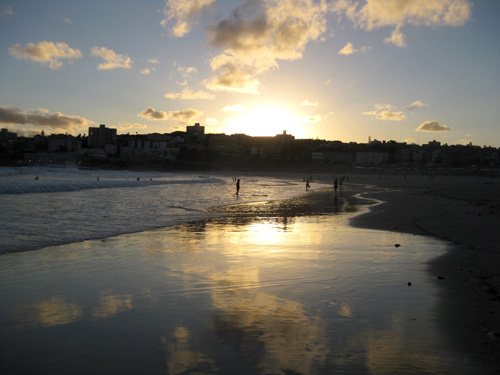 Bondi Beach, Australia: Winter sunset reflected in the sand at low tide. 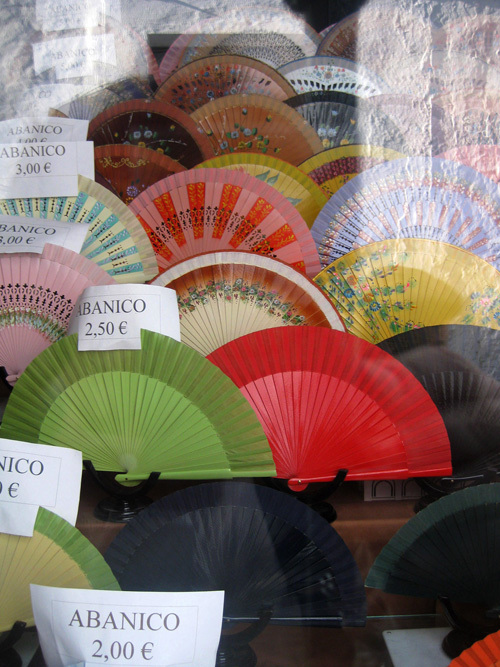 Vejer de la Frontera, Spain: White stucco walls reflected in the window of a shop selling fans. 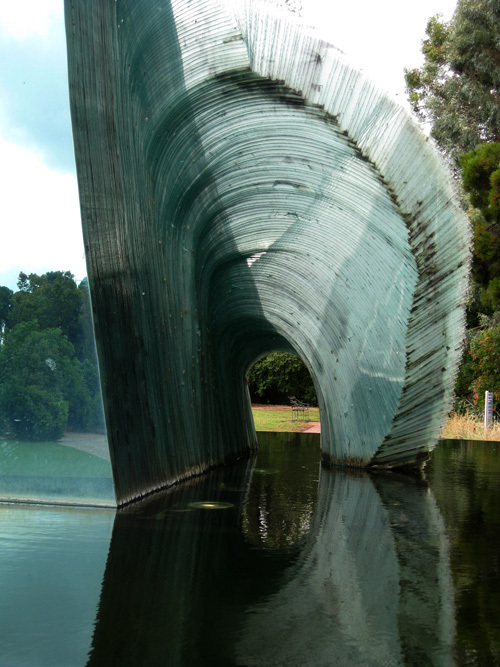 Adelaide Botanic Gardens, Australia: The gardens reflected in the sculpture, and the sculpture reflected in the pond. 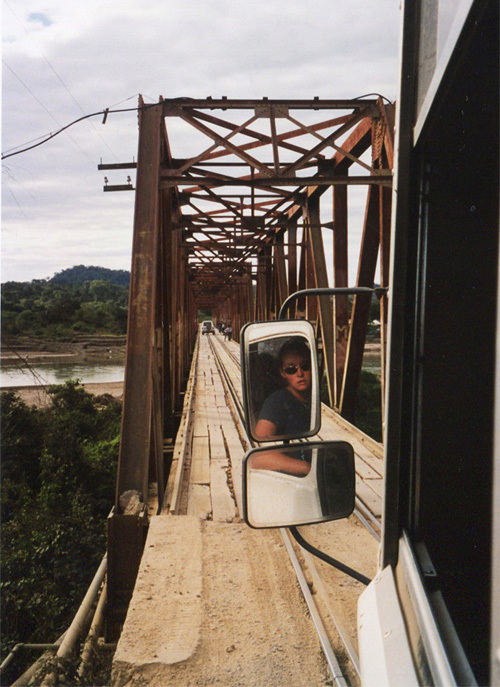 An overland journey from Brazil to Equador, somewhere in Bolivia: Our driver and tour guide, reflected in the rear view mirror of the truck (“No es un bus! Es un camion!”) just before she drove across the railway bridge. 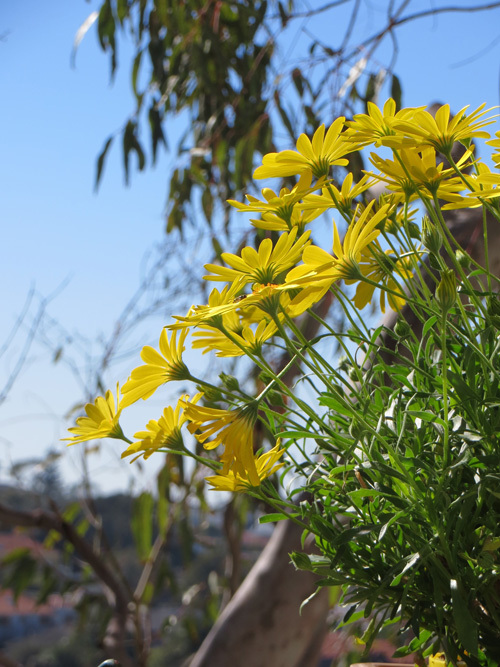 “Winter in Sydney is like summer in London, but without the rain.” I remember reading that somewhere before I moved from London to Sydney (for the first time) in 1999. 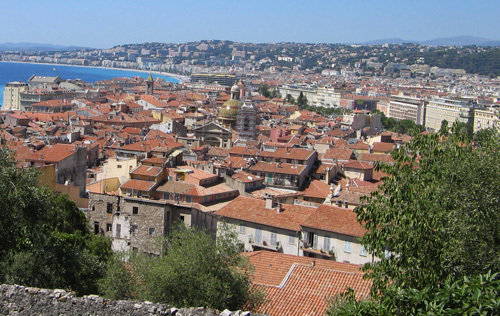 Okay, it’s an exaggeration, but on a winter’s day such as this one, with cloudless skies and temps of 20deg Celsius, it’s hard to argue! One of my favourite things to do on a day like this is walk by the ocean. 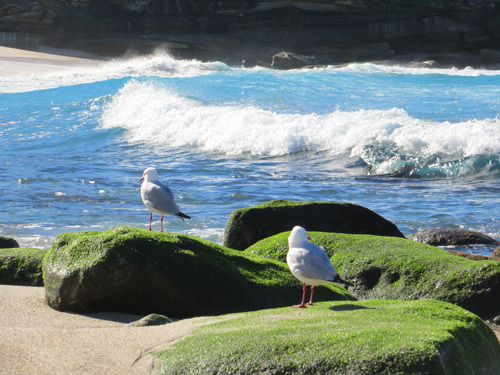 I live only a 10-minute walk from Bronte Beach, so it’s often where I start off. 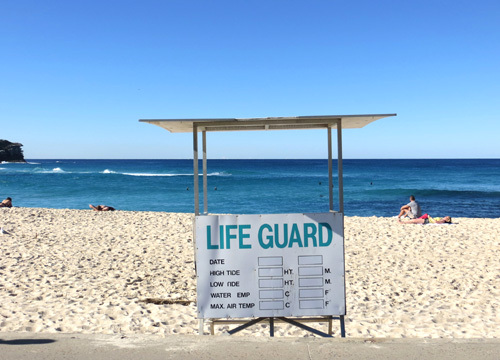 An empty life guard station. The walk from home to beach takes me along Bronte Gully, a small slice of regenerated wilderness following the path of a stream down the hill to the beach. 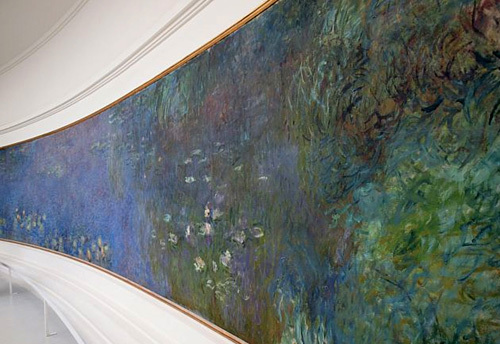 In summer, it’s a cool, shady respite from the heat. 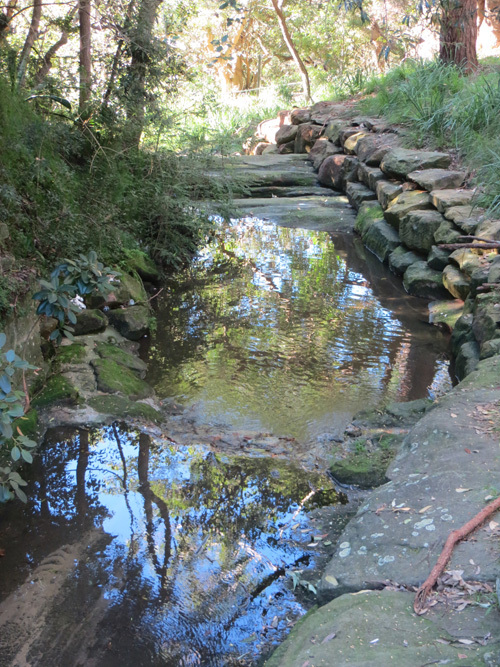 Bronte Gully – the pond above the waterfall. 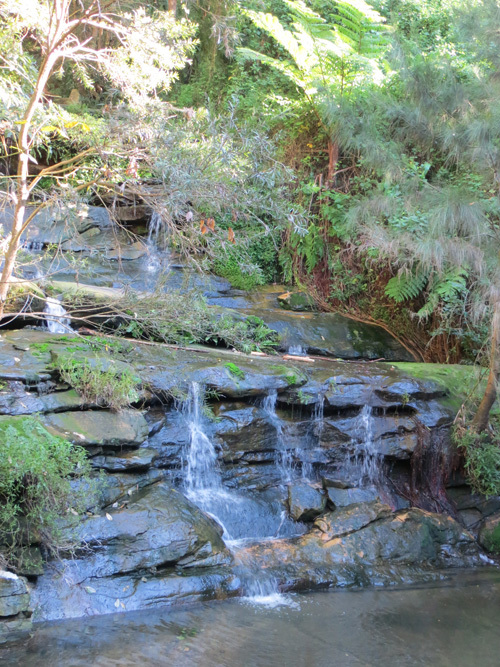 Bronte Gully – the waterfall. Surfers and swimmers must share the beach with seagulls. 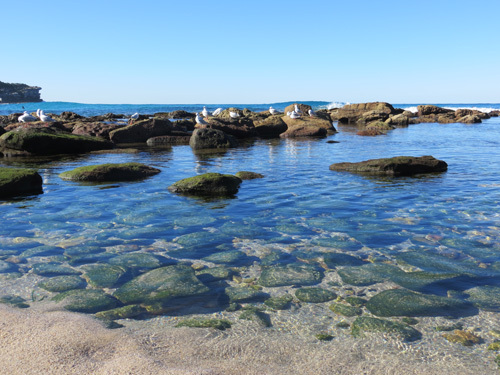 Seagulls on the edge of the shallow pool formed by rocks. The seagulls don’t seem very bothered by the surf breaking behind them. 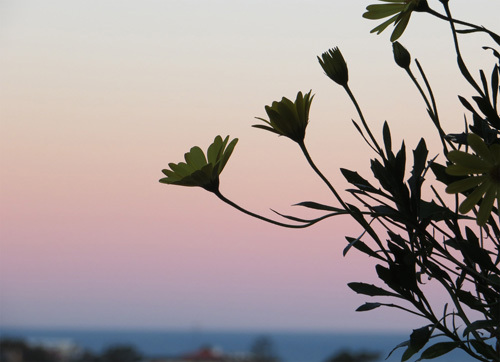 I love the simple contrasts of blue, green and white in this photo. At the south end of the beach is the swimming pool, washed by the waves. 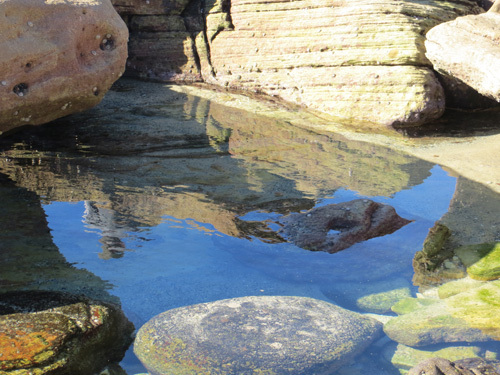 Walking along the shore to the swimming pool, you’ll find rock pools, their trapped waters reflecting everything around them. Trapped water reflects sky and rocks. 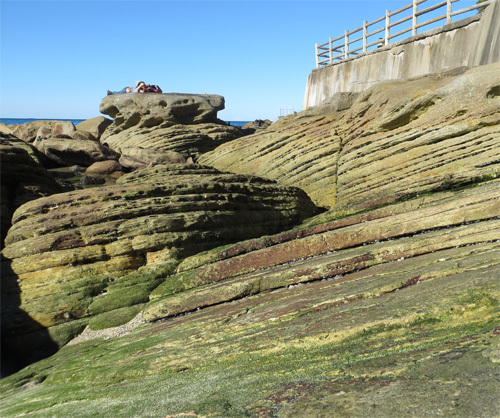 Striated rocks below the edge of the swimming pool. 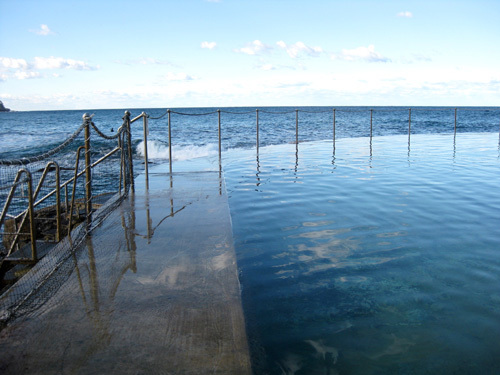 The swimming pool looks out to the ocean, and on days with less calm waters the waves crash over the sides and onto the swimmers. An infinity of water, in the pool and in the ocean. 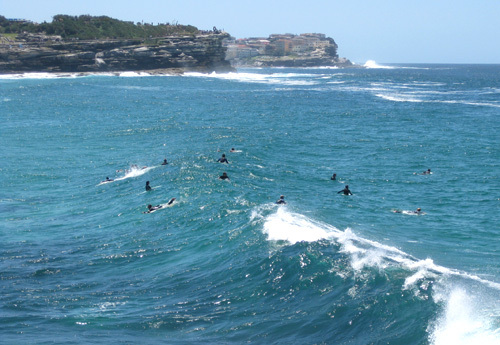 And, of course, Bronte is one of Sydney’s prime surfing spots. Surfers in their wet suits look like seals bobbing in the passing swells.